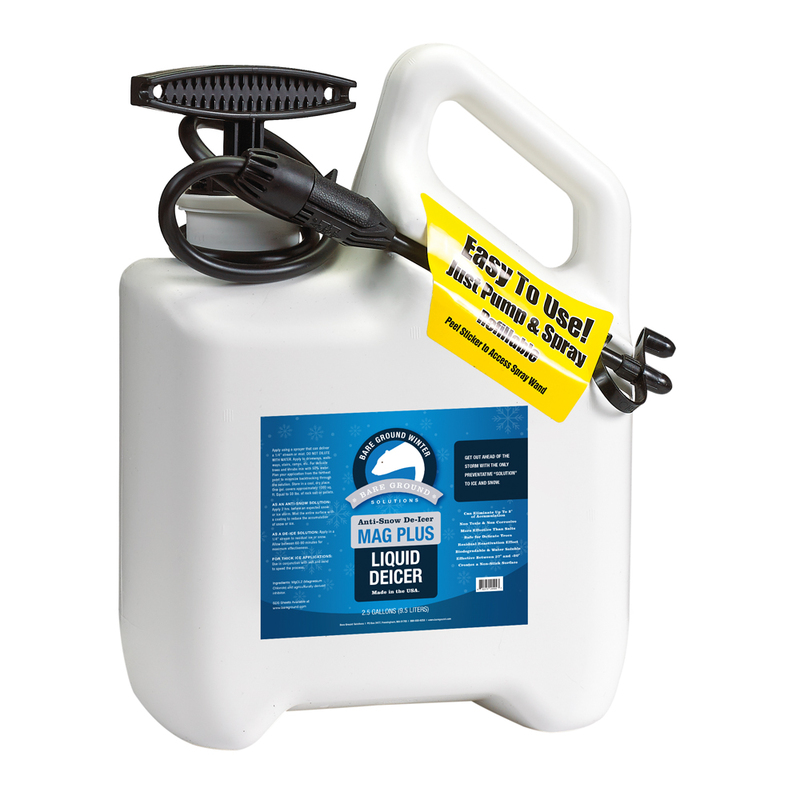 Why shovel snow and ice when you can easily spray on Bare Ground Mag Plus liquid deicing solution instead? 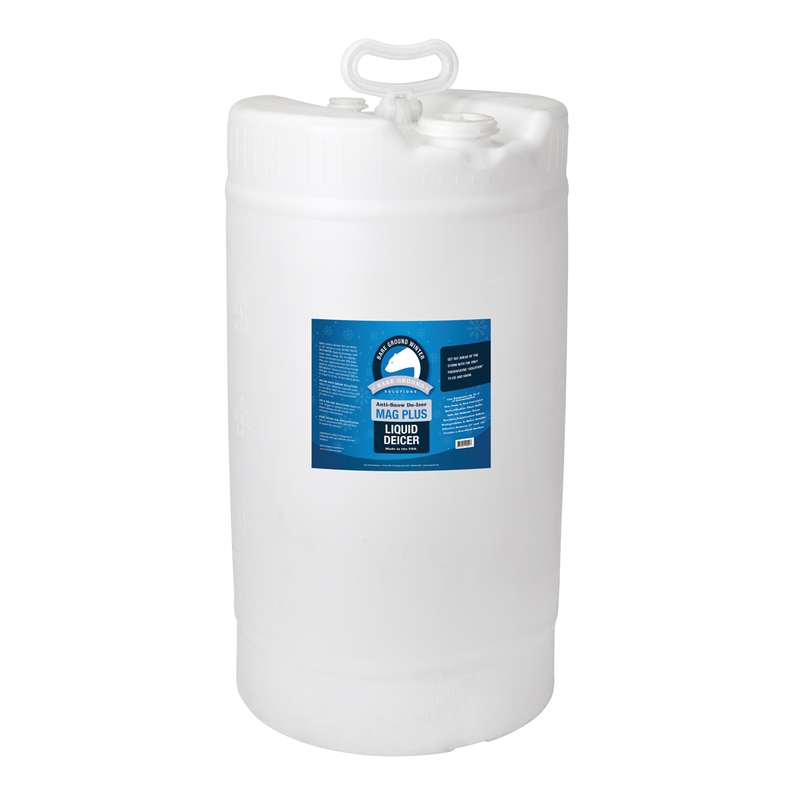 Bare Ground’s award-winning all-natural anti-snow/deicing Mag Plus liquid means you’ll shovel less this winter! Reducing the hard physical work of shoveling snow means fewer sore muscles and less likelihood of heart strain. 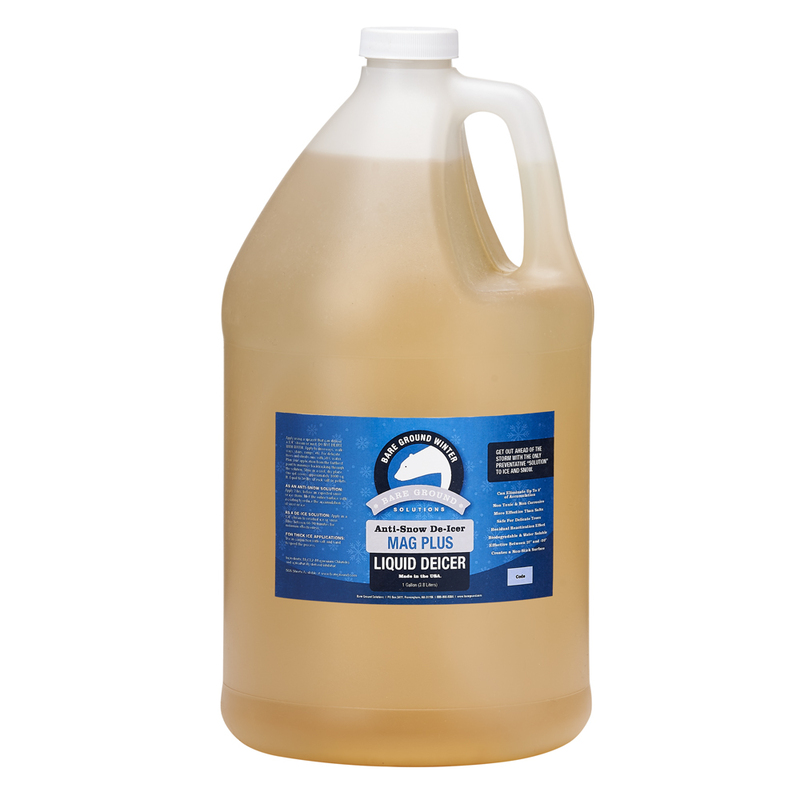 Available in multiple sizes, the Bare Ground Mag Plus liquid is environmentally safe, bio-degradable, water soluble, non-staining and non-toxic to people, plants, pets and livestock. It’s safe on all surfaces too! 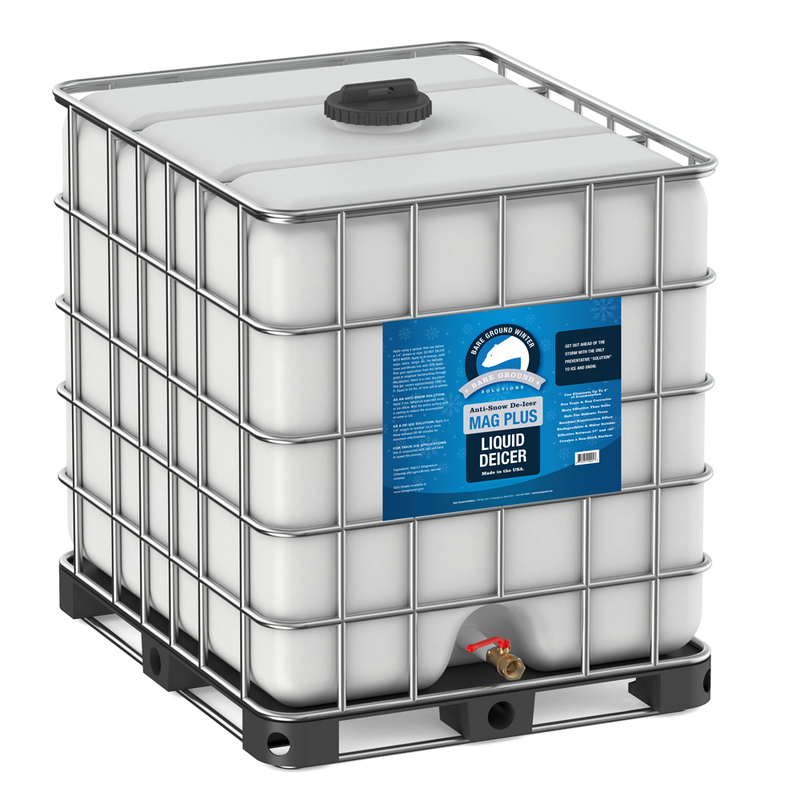 You can dilute it with water in a 50:50 mixture and spray directly on trees and delicate shrubs to prevent breakage due to ice and snow accumulation. 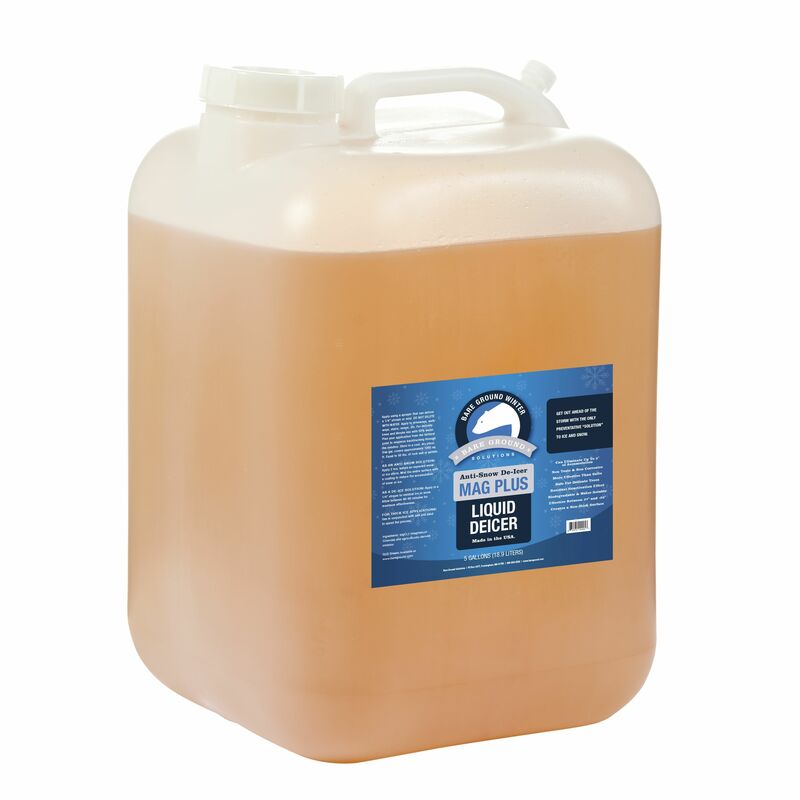 Bare Ground Mag Plus liquid is an all-natural, award winning USDA Bio-preferred listed liquid snow and ice melt. 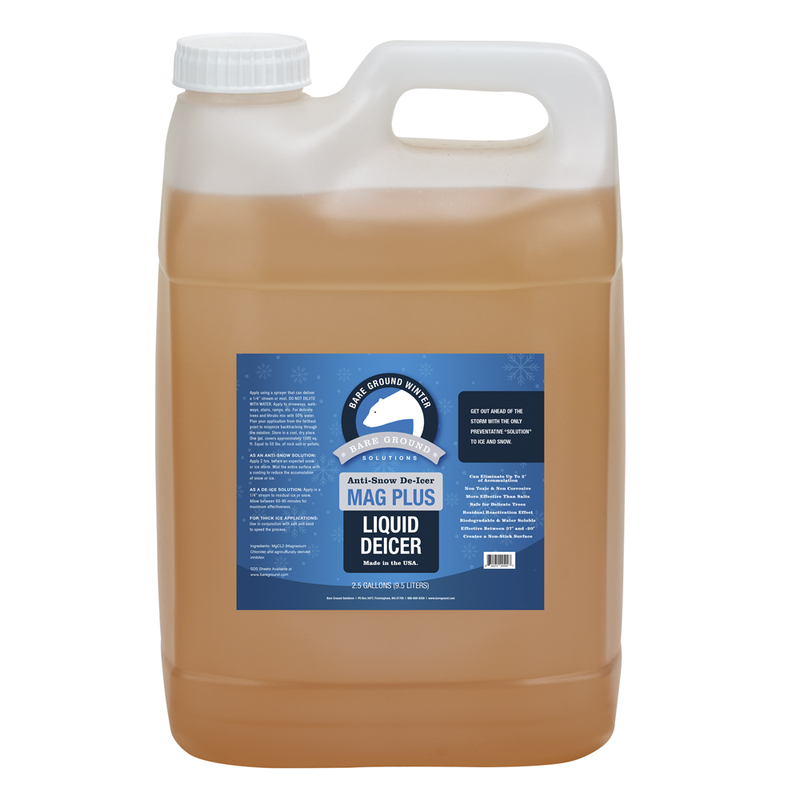 Safe for all surfaces, Bare Ground Mag Plus liquid ice melt works safely to remove ice and snow on driveways, walkways, patios, decks and even on your roof. 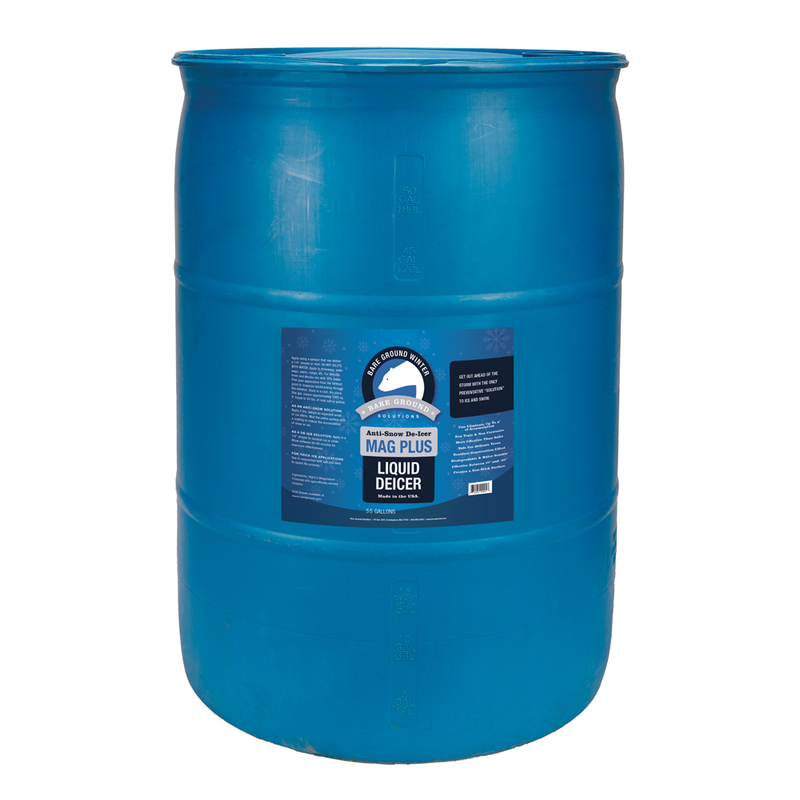 Safe on all types of materials such as blacktop/asphalt, cement, pavers, brick, wood etc., Bare Ground Mag Plus Liquid De-Icer is virtually non-corrosive. This stuff works great! Love the fact that it is environmentally friendly and safe to use on concrete and asphalt unlike salt and safe to animals. Thanks, Gloria! We’re glad you’re loving your Mag Plus! So far not overly impressed. The claim is if you put down before a snow fall that it will take care of up to 2” of snow. Put down in one spot with a fine mist and laid it down thick in another area. We got just a little over 1” of snow, and two days later the snow is still there. Earlier today I sprayed over the snow and still little to no diferance. The only good thing is at -2 there is no ice on the pavers or concrete. Not sure if there is other ways to apply this product, but I followed the directions and not sure this product lives up to its claims. Was hoping this was going to be the product for my company, but I will keep looking for other options. 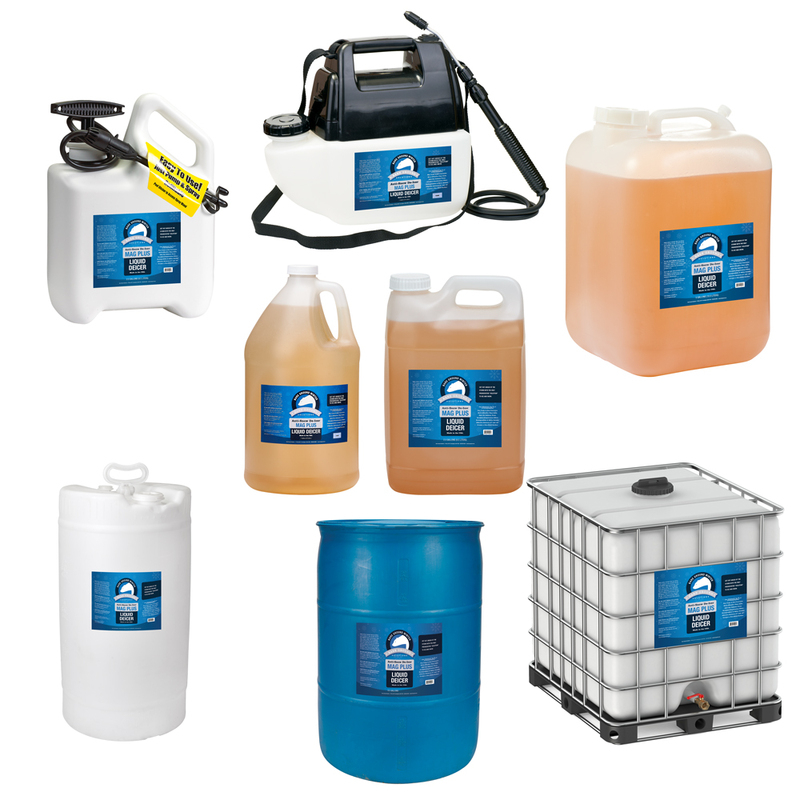 The manner in which the product works can vary depending upon a variety of complex things such as extreme low temperatures and the amount of humidity in the snow. The timing of the application is critical as well. If it does not eliminate the first few inches, it might be because it was applied too far in advance of the storm. It is also possible that there was an excessive amount of water in the snowfall which quickly overcame the solution. Regardless, you should find a non stick effect and the product will act well as a low temperature spot deicer. Please continue to use the product and keep providing your feedback through a variety of storm situations.